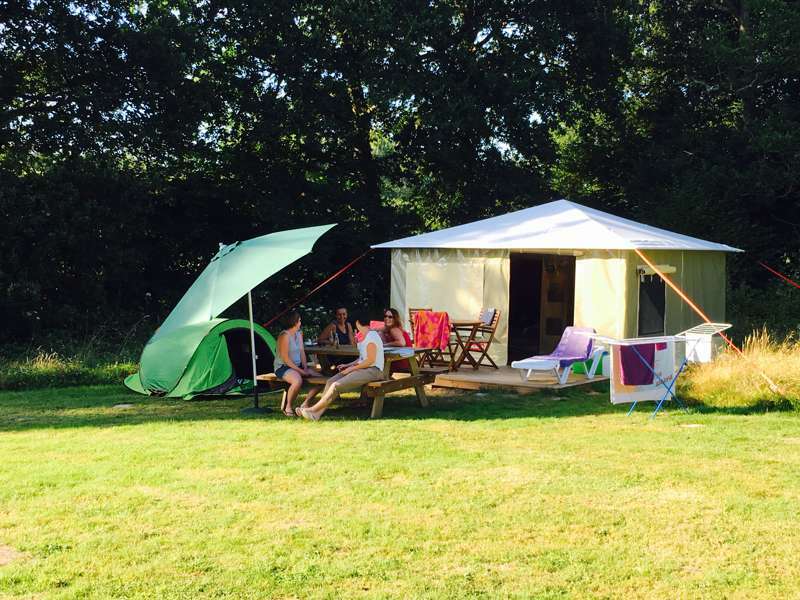 O2 Camping is all about simplicity, well-being and sharing. All of these values are bound in our desire to provide memorable and relaxing holidays! 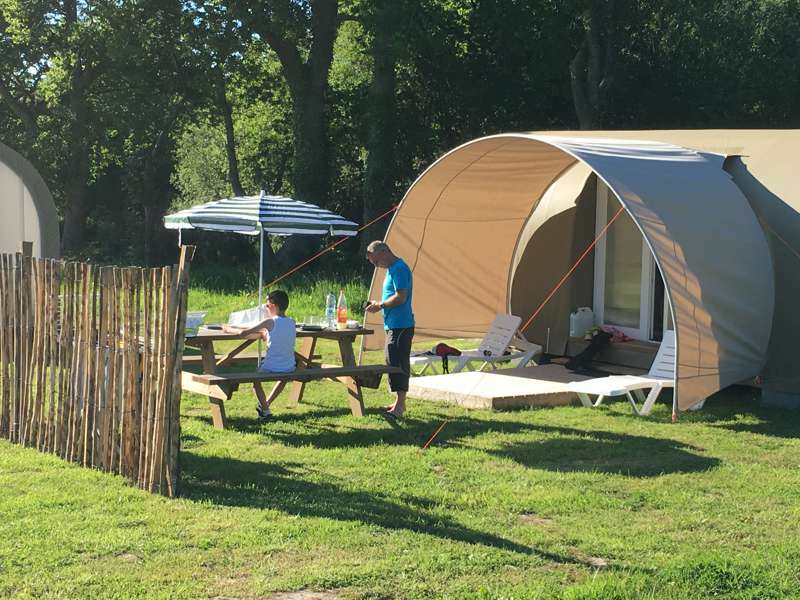 We run a natural, Normandy campsite and welcome you to come and stay.Our favourite quote? "Paradise is not a place, it is a state of mind". 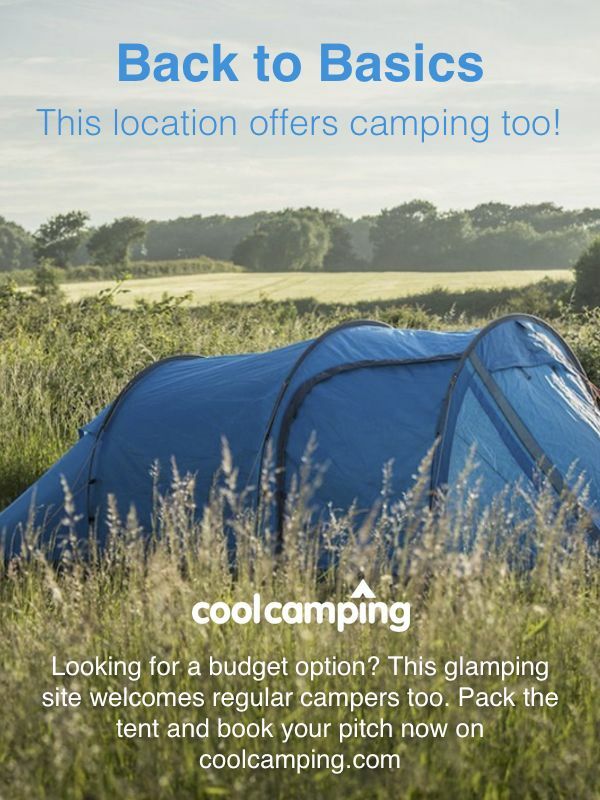 For latest availability and best prices for O2 Camping, please use the Date Search above. 7 showers and loos, 1 family bathroom and 1 disabled access bathroom, plus laundry facilities. 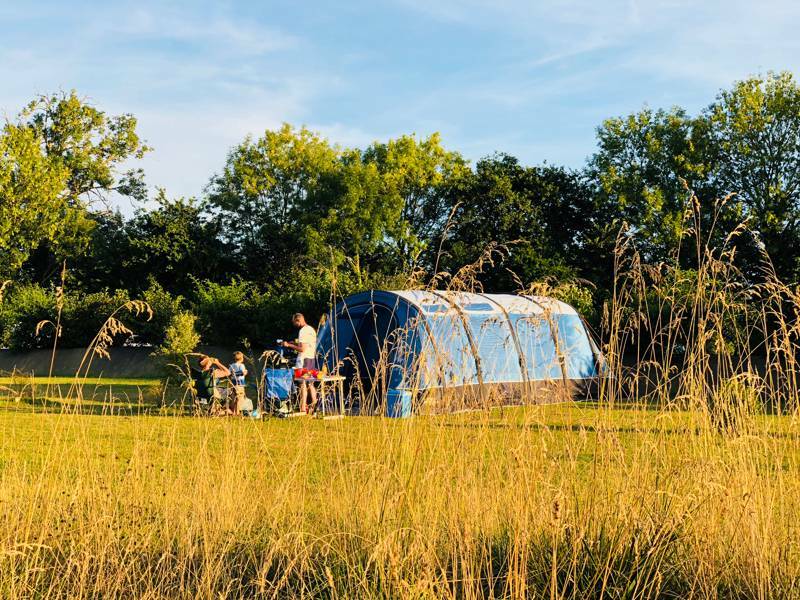 Volleyball court, pétanque court, ping pong table, covered swimming pool and paddling pool, football area and, during peak season, massages (at an extra charge). Small grocery shop in the reception area, a small bar, fresh bread delivery (order the night before) and ample tourist information. Free Wi-Fi in public areas. It's a 10-minute drive to Mont Saint-Michel Bay, where the sandy beaches stretch all the way from Granville to Regnéville-sur-Mer, the former town being right on your doorstep and the place to go for boat rental and lessons from the local sailing school. Granville is also home to an excellent aquarium (0033 2 33 50 19 83) and, from the pretty harbour, boat tours out to the Îles Chausey (0033 2 33 50 31 81). No visit to the area is complete without a visit to famous Mont Saint-Michel itself. A UNESCO World Heritage Site, the island is the third most popular tourist attraction in France and, though it can be seen from almost every point along the bay can take up to an hour to reach by car. A great day out is to cross the causeway by bike and explore the medieval ramparts by day, staying late enough to catch the evening light show that is run throughout summer. To the north, meanwhile, Bayeux (0033 2 31 51 25 50), home to the historic 70m tapestry depicting the Battle of Hastings, is an hour and a half by car, with Normandy's D-Day beaches, memorials and museums just beyond. The campsite has a small shop and bar, offers fresh bread each morning (order the night before) and has communal BBQs for use. Off site, there is a supermarket 10 minutes away and a wide range of eateries in Granville. Just a kilometre or so away, though, Restaurant Le Jardin de Léontine (0033 2 33 50 47 28) is a particularly nice local pick. You can dine outside or in and the focus is on the most local of local food (with plenty of seafood on offer). And, yes, snails are on the menu. Bon Appétit! 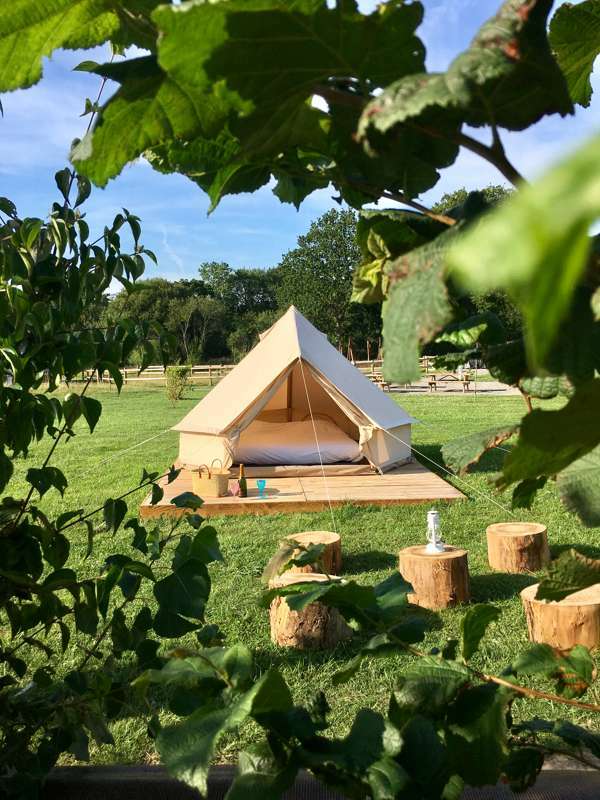 90 camping pitches, plus bell tents, coco sweet tents, mobile homes and canvas lodges for glampers.